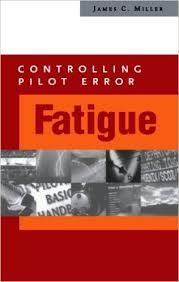 Pilot Fatigue Research Papers describe the symptoms of fatigue, and what it effects in the body. The issue of pilot fatigue is receiving renewed attention due to the increasing evidence that pilot fatigue can be a significant aviation safety issue. Paper Masters has writers that have done studies on pilot fatigue and can help you formulate your research project on the problem. In the past, the approach to pilot fatigue has been to allocate a set amount of time in a twenty-four hour period for pilots to work and rest. This approach, however, has not addressed factors such as the differences in fatigue tolerance between individual pilots and the quality of rest during the allotted off-duty periods. At the same time, the regulations regarding pilot duty periods as well as the practices of carriers do not reflect the empirical evidence developed by research regarding the nature of fatigue and the point at which fatigue impairs performance. There is also some degree of conflict between pilots, airlines and the FAA regarding the appropriate amount of time that pilots can be on duty, and whether non-flight time due to weather delays or aircraft maintenance are equivalent to flight time. At the current time, pilots must depend on self-management in order to reduce the safety risks of fatigue. There are a large number of symptoms associated with fatigue that can significantly impair pilot performance and the overall safety of the flight evolutions. There is a significant amount of scientific data indicating the nature and degree of fatigue induced impairment as well as data indicating the average times of onset of the symptoms of fatigue. At the same time, there are multiple causative factors for pilot fatigue, which involve the behaviors of the individual and the nature of flying that involves disruptions to the natural sleep patterns and rhythms of pilots. Aviation Industry and Marketing - The regulatory approach to pilot fatigue has been to allocate a set amount of time in a twenty-four hour period for pilots to work and rest. Chronic Fatigue Syndrome research papers examine the debilitating condition that affects adults and children with persistent fatigue that can last three to six months. Douglas Bader - Douglas Bader Research Papers delve into the life of a World War II fighter pilot. Igor Sikorsky - Igor Sikorsky research papers examine the Russian-American aviation pioneer best known for creating the world’s first successful mass-produced helicopter. Charles Lindbergh - Charles Lindbergh Research Papers explore the life of this man who was the first man to fly non-stop across the Atlantic, and he landed the Spirit of Saint Louis at Le Bourget Field. Essential Process of Scientific Inquiry - Paper Masters teaches you the essential process of Scientific Inquiry in a research paper. Direct Instruction - Direct Instruction research papers discuss the premise that all students can learn, provided that they are taught by careful and efficacious teachers who use proven instructional strategies and programs. Paper Masters writes custom research papers on Pilot Fatigue and describe the symptoms of fatigue, and what it effects in the body.